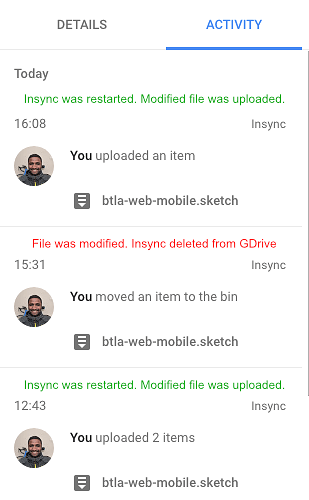 When a file is modified: Insync deletes the file from Google Drive. The local modified copy remains in its original location. Insync no longer rescans to recognise the existence of the modified file. Pausing sync and resuming doesn’t have any effect. Solution: Quit Insync. Restart Insync. It will now recognise the modified file and upload it. It is uploaded as a new file. Issue 1: I work on Desktop(iMac) trusting Insync to backup to Google Drive. When I travel and open my Laptop(MBP), the files are nowhere to be found(Insync replicates the deletions). 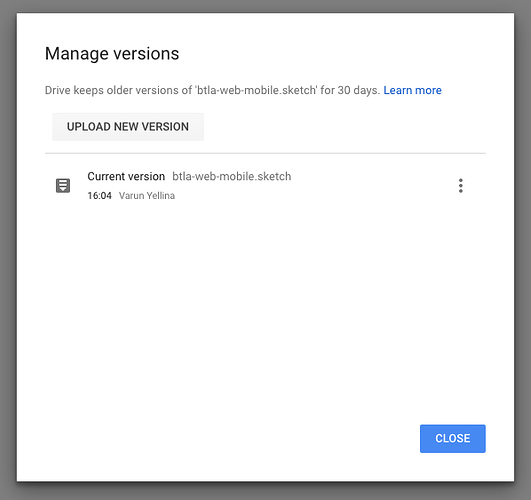 Issue 2: Google Drive no longer has version history of the file for restoring purposes(the file is uploaded as a new file). Can you send in your logs along with the link to this post to support@insynchq.com? I’ve already sent in the logs before posting here. This behaviour persists even in the latest 1.4 release. This issue looks to have been fixed in 1.4.5 on macOS 10.13.3 that was pushed today. I’ll keep you posted if it reoccurs.